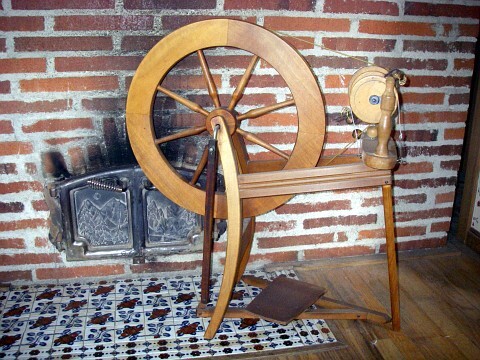 The reliable ashford spinning wheel after many years. The simple design features focus on economy and getting the jog done. 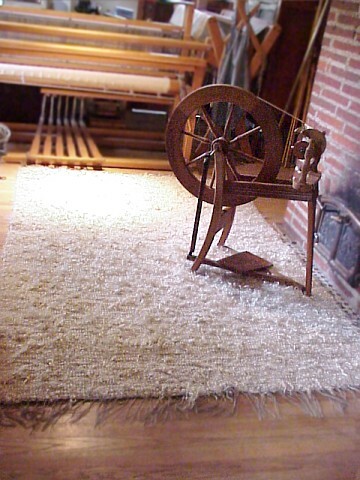 Ashford resting on wefting and yarn it has produced. 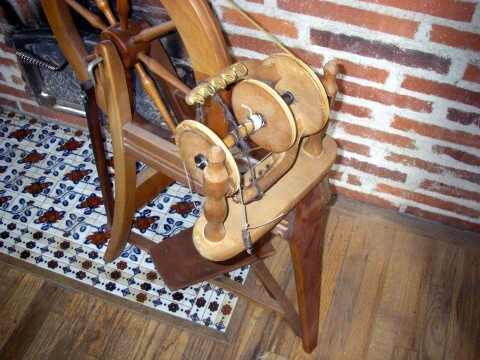 Long forgotten miles of yarn have passed through the orifice of this wheel. One project alone had 5 miles of hand spun yarn within it. The wheel is none the less functional in spite of it's long history of heavy work.